In this era of the mystery box, sometimes it’s nice to get some answers. 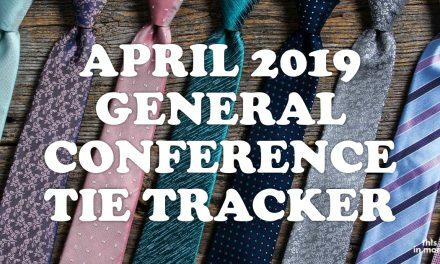 We now know the story behind one of our favorite General Conference traditions: the consistency of the late Elder Robert D. Hales‘ tie choices. However, before addressing it, some housekeeping. 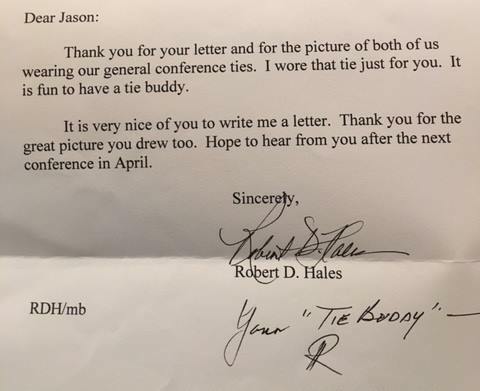 Some on the internet are saying that “For years now, people been pointing out the fact that Elder Robert D. Hales wore the same tie every time he spoke in General Conference.” We’d just like the record to show those “people” are we, the TWiM Nation. Prior to our famed Tie Tracker, were people really commenting on Elder Hales’ tie choices? Doubtful. 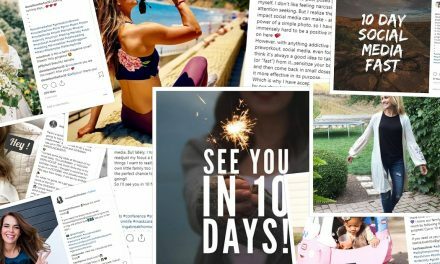 We have the Photoshop files to prove it. 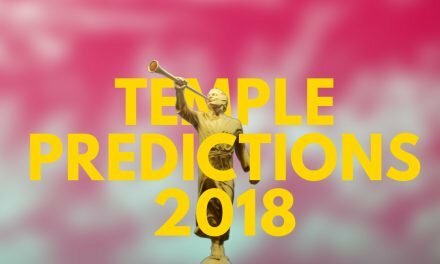 But we mostly say this to frame what is to follow, and to explain that learning the truth behind Elder Hales’ tie means something just a pinch extra special to us because of the time we’ve spent following General Conference ties. I love Robert D Hales. As we laid him to rest yesterday, much was said about his incredible life—as an athlete, jet fighter pilot, businessman, husband and father, and, more importantly, as a special witness of the Lord Jesus Christ. Perhaps nothing defines discipleship more than a man (or woman) showing kindness to a stranger and, even more so, to a child. In my many years with Elder Hales, I saw him reach out and lift up so very many. This story of his “tie buddy” shows a seven-year friendship with a child (while Elder Hales fought for his own survival) that would never be known widely, except for my publishing it here. 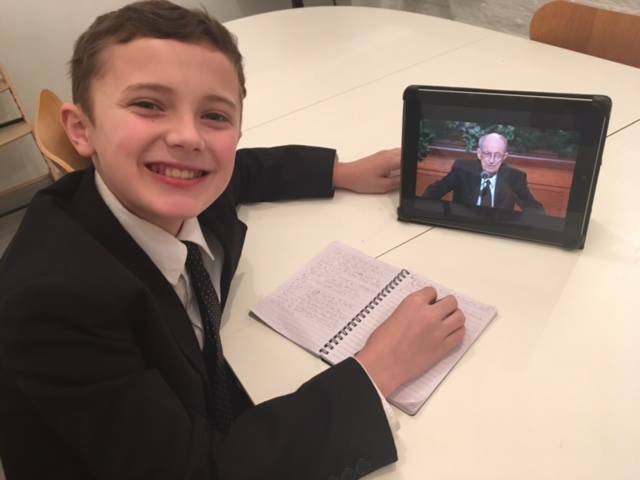 In April 2010, when Elder Robert D. Hales stood to speak in general conference, five-year-old Jason, watching from his Baltimore, Maryland, home, jumped up with excitement. The tie Elder Hales was wearing was a perfect match with a tie he had in his closet. 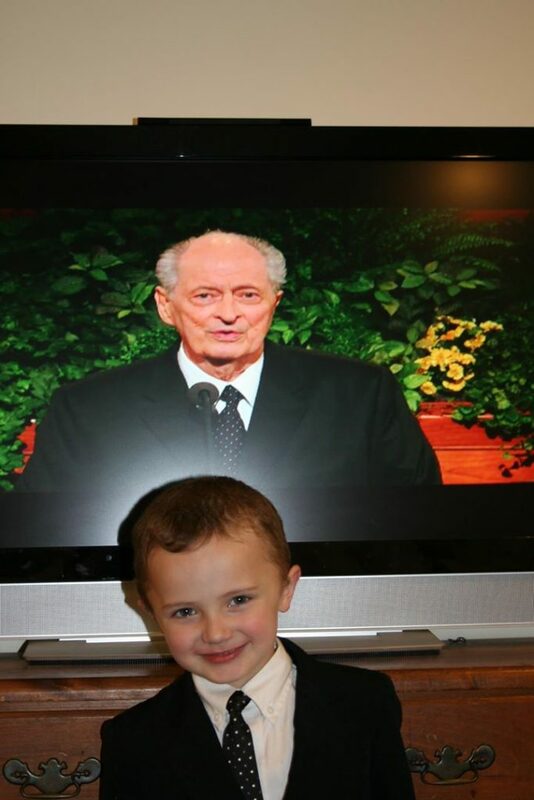 He ran to his closet, had his mother quickly help him tie it, and posed for a picture with Elder Hales on the television. Six months later, Jason waited patiently, with his same tie in place, for Elder Hales’s name to be called in general conference. 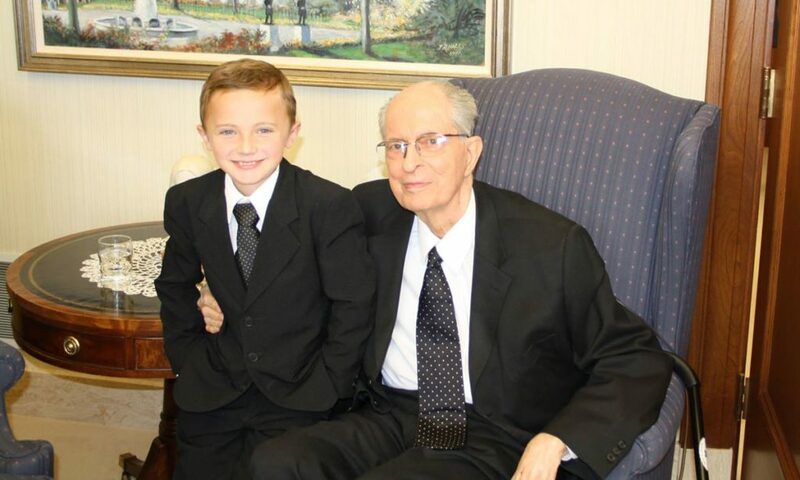 To his delight, Elder Hales appeared again with the same black tie with white polka dots. Also in 2013, Jason was finally able to meet Elder Hales face-to-face. This solidified the friendship—and Elder Hales’ decision to wear his black tie with white polka dots for all future talks in general conference. 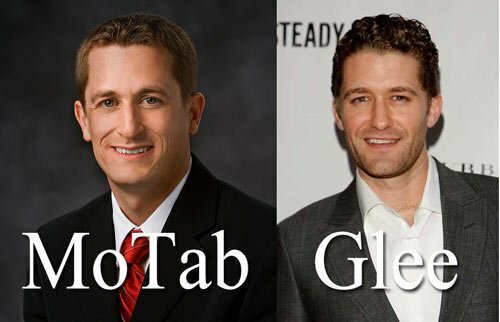 As a most generous gift to a friend, Elder Hales declared his black tie with white polka dots would be given to Jason once his final talk had been given in general conference, telling Jason that he would expect him to wear the tie when he speaks in sacrament meeting before he leaves on his mission in 2023. What a spectacular story of discipleship and love—of caring about the one. 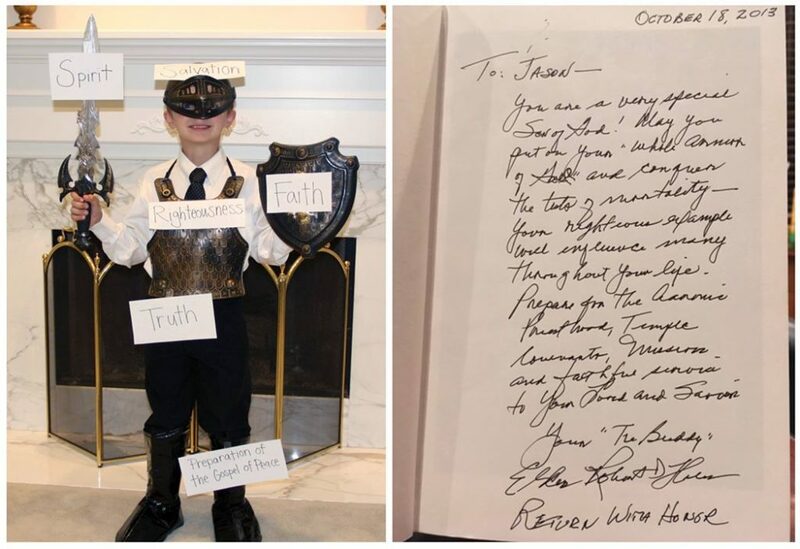 Here we have an apostle with a presumably full docket as well as ailing health, taking the time to befriend and mentor a young boy who was drawn to him because of something as ostensibly trivial as a tie. Imagine the profound effect this relationship has had on this young man, still years away from being eligible to serve a mission. As Elder Andersen stated, Elder Hales often ended notes with the phrase “Return with Honor.” Returning was a large theme of his ministry, so much so that he wrote a book about it that covered what Elder Hales described as the “Four Phases of Our Mortal Journey Home”: Decades of Preparation, Decade of Decision, Decades of Serving and Pressing Forward, and Decades of Serving and Enduring to the End. How powerful a message to send to young Jason by literally willing his tie to the boy. As a missionary, future Elder Jason will undoubtedly take that tie with him and remember the Special Witness of Christ who gave it to him. 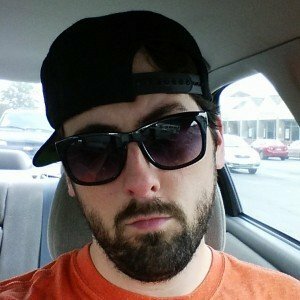 He will return.